Microsoft wants their mobile customers to be able to 3d print the objects around them directly from their phones. 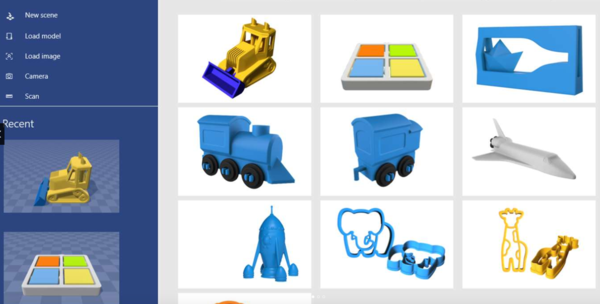 So, last week, the technology giant released the 3D Builder application for Windows phones. Users can scan just about any object they want with the camera on their mobile device and the 3D Builder application will convert that scan into a 3d printable file. For those users that don’t have a 3d printer, the application is connected to Materialise, a large 3d printing service bureau. “3D Builder provides everything you need to make any 3D content printable,” the company’s release said. The release of a mobile application for 3d printing follows Microsoft’s launch earlier this year of seamless 3d printing from the Windows 10 operating system. Another interesting feature of the 3D Builder mobile application allows users to drop in existing 3d files taken from the web or other platforms, and the application will automatically edit the file to ensure it’s ready for 3d printing.